Nicci and Tony brought over a cucumber salad that I really enjoyed. As a matter of fact I enjoyed it to much I decided to make it the next day! 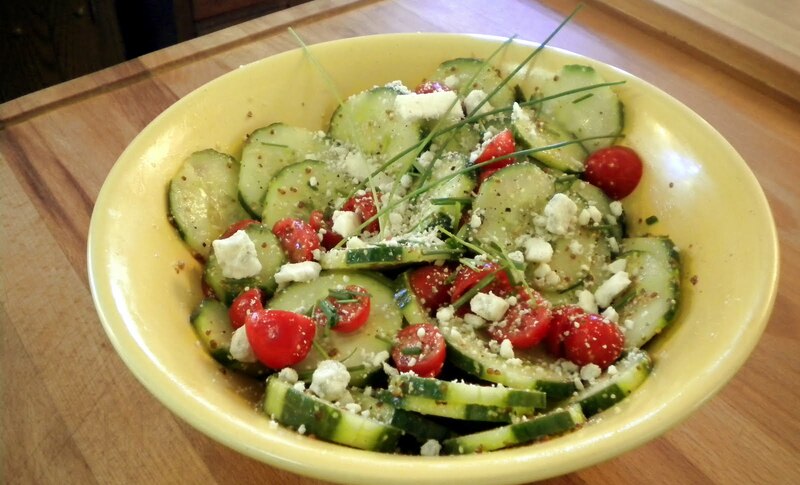 I went a head and used my favorite cucumber and salad tomatoes. Then I made a tasty zangy dressing to personalize it a bit. I hope you enjoy! Whisk ingredients together in a small dish and sit to side until ready to use. Toss salad ingredients with dressing and serve immediately.